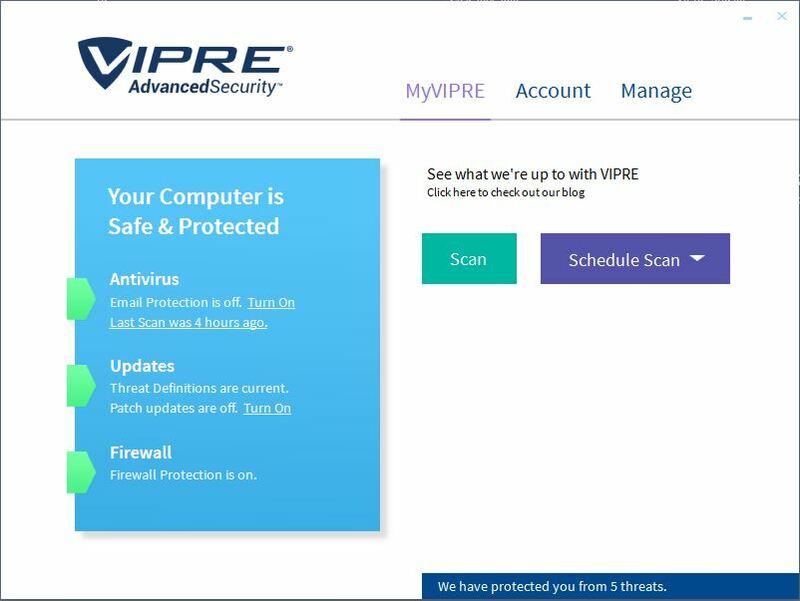 VIPRE Antivirus includes all the features you need to protect your PC against viruses and other malware threats. Best of all, it doesn’t slow down your PC (even during scans and updates). Detects and removes viruses, spyware, rootkits, bots, Trojans and all other types of internet security issues. * Leverages multiple detection methods to monitor and protect against internet security issues, including zero-day attacks, in real time. * Combines advanced antivirus and anti-spyware technologies to provide complete security that doesn’t slow down your PC. * Scans USB flash drives and other removable drives and files for threats automatically when connected to your PC. * Protects against email viruses in Outlook, Outlook Express, Windows Mail and any email program using POP3 and SMTP. * Adds an “Erase Files” option to your Window’s Explorer menu to permanently delete all traces of a file. * Removes browsing and search histories, including the history stored by many popular applications. New Threat Engine to improve detections and remediations. Combines advanced antivirus and anti-spyware technologies to provide complete security that doesn’t slow down your PC. Detects and removes viruses, spyware, rootkits, bots, Trojans and all other types of malware. Finds and disables hard-to-remove malware that gains unauthorized access to and hides deep within your PC. Protects against email viruses in Outlook, Outlook Express, Windows Mail and any email program using POP3 and SMTP. Adds an “Erase Files” option to your Window’s Explorer menu to permanently delete all traces of a file. Removes browsing and search histories, including the history stored by many popular applications. Reveals settings on your computer that are normally hidden and enables you to add programs to the Always Allowed list.